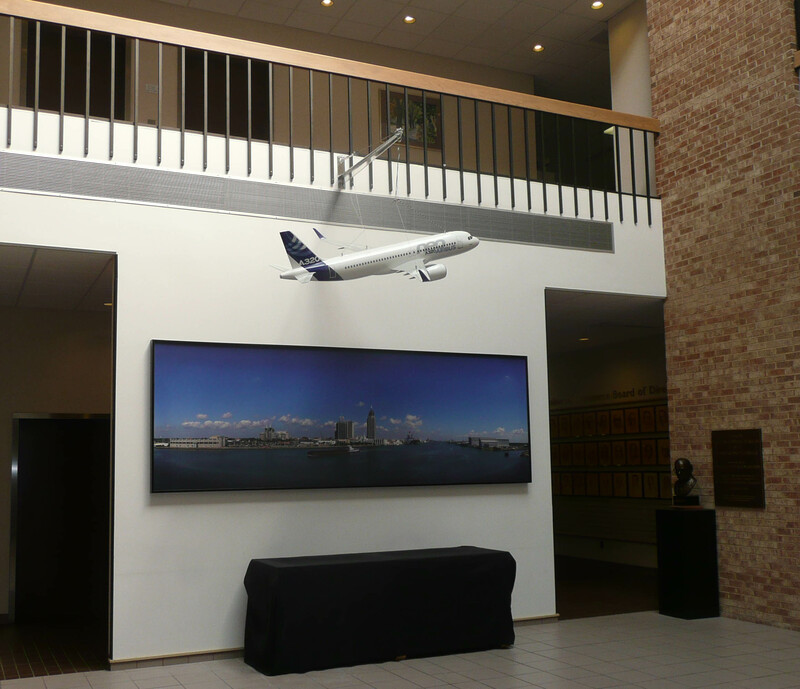 To celebrate the landing of the new Airbus Americas assembly plant at the Brookley Aeroplex in Mobile, the Mobile Area Chamber of Commerce commissioned a 1/20th scale model of the Airbus A320 that is to be assembled at the new facility. They wanted a special place to display the new model in their lobby and reached out to TAG/The Architects Group for help. TAG developed a 3-D model of their building and was able to present various location options in 3 dimensions. With the help of White-Spunner Construction, the scale model now hangs in the Mobile Area Chamber of Commerce.